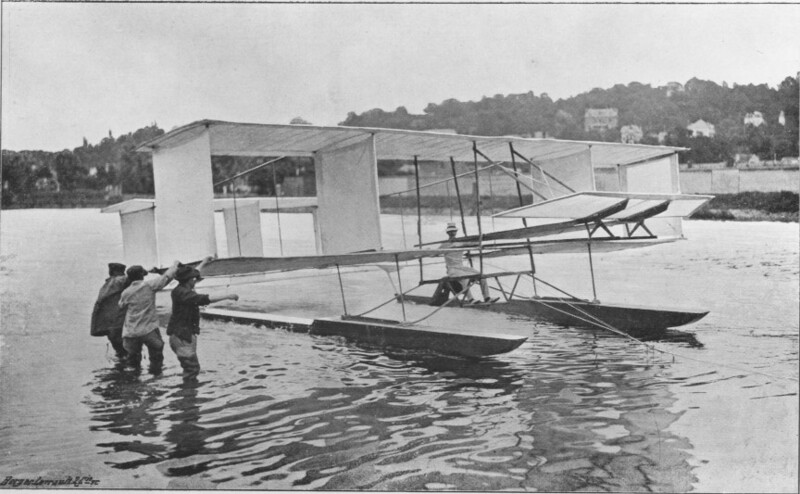 NOTE: Click on any of the thumbnail images for a larger view. 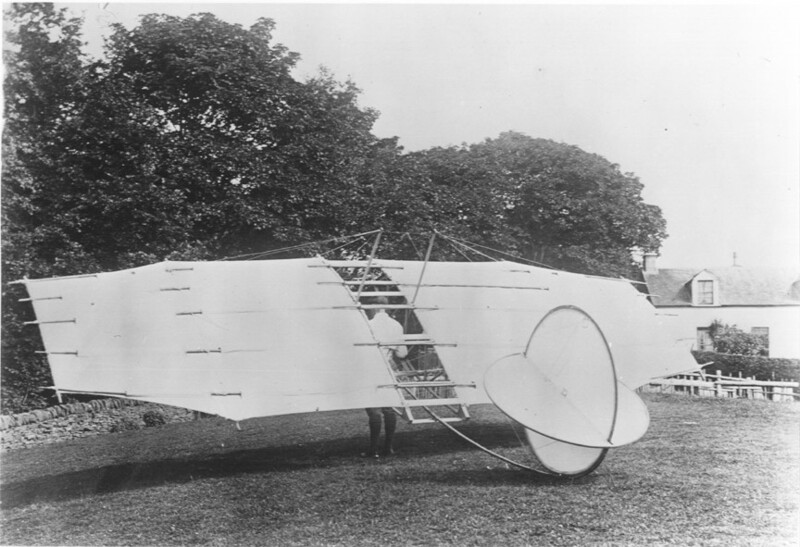 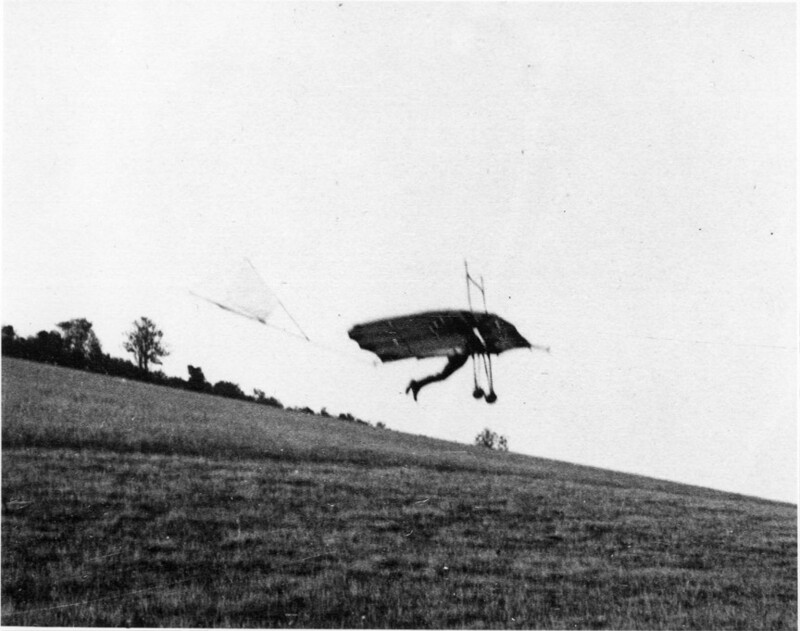 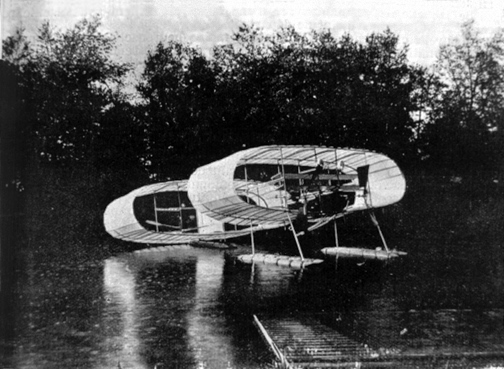 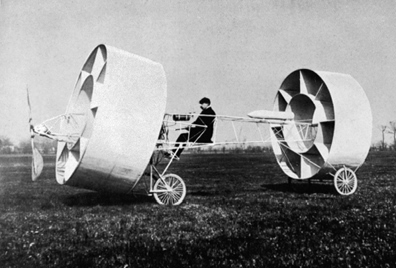 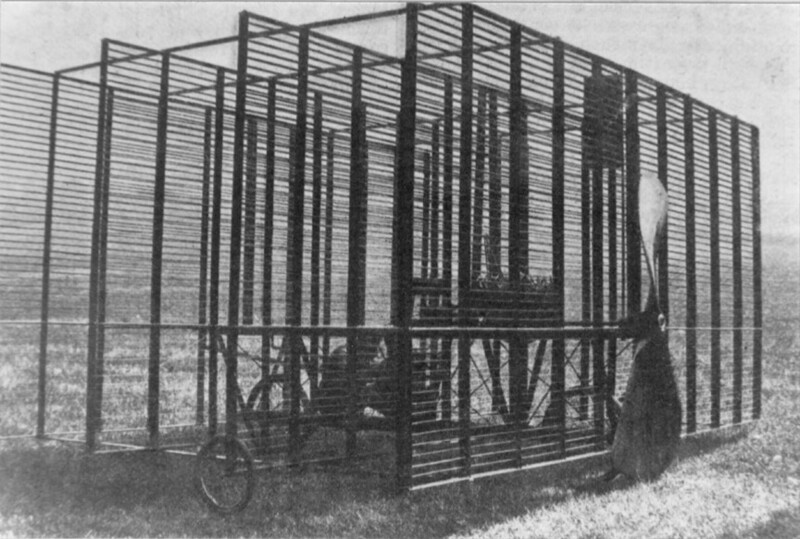 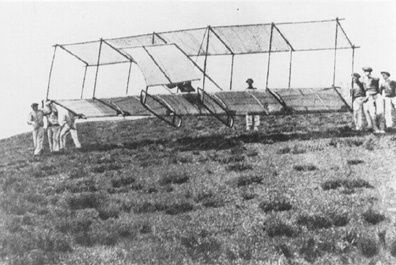 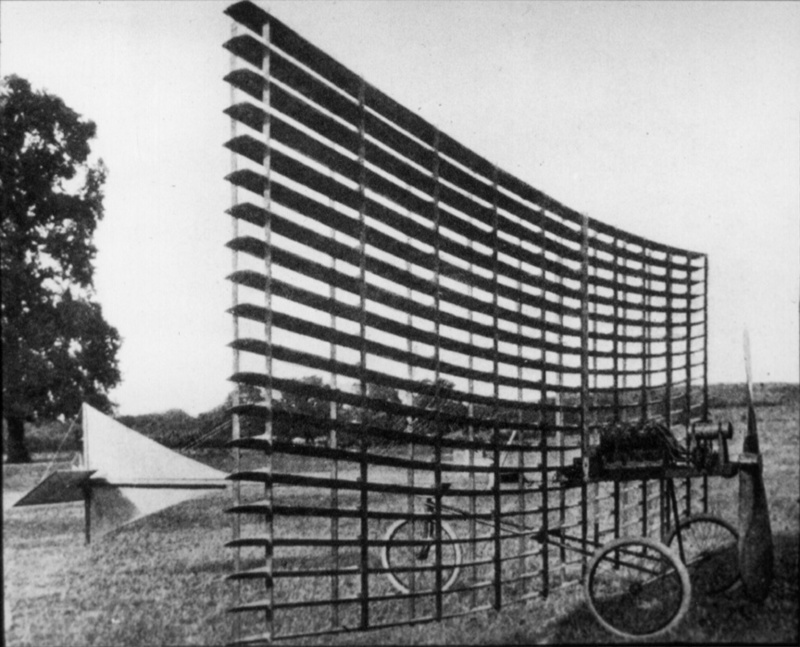 Wright-type glider with forward elevons. 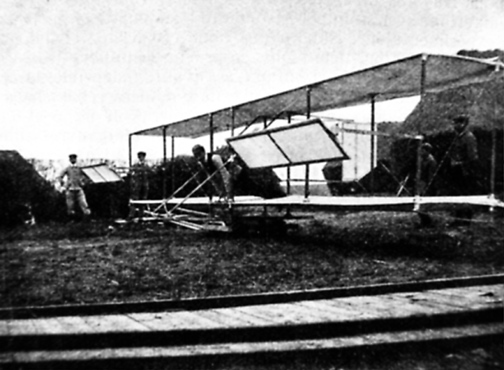 Bléroit III in an unsuccessful test, 1906.